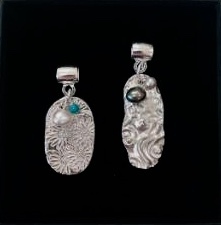 If you’ve got the basics of working with clay silver and want to learn more – this is the course for you! 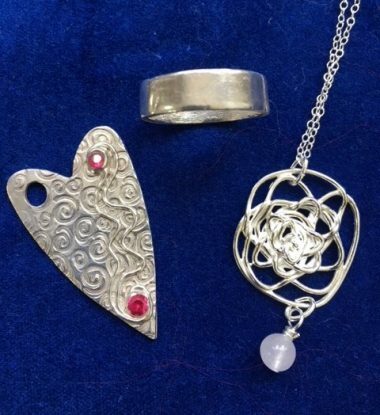 In this one day class we’ll discover new forms of clay silver and learn three exciting new techniques for making real silver jewellery. Expect to make three finished pieces that will be ready to wear home – or be hallmarked – by the end of the day. Create a classic simple, silver band ring – that fits! A fun and creative day full of magic & sparkle …. with a lovely light buffet lunch and refreshments for £115.00 – including £35 worth of materials ! SOLD OUT in March !